So I know I'm at that age where practically everyone I know is having babies. We have so many friends and family members that had babies within a few months of Brantley. Which is fun! Shortly before I got pregnant this time around, I learned that two of my five bridesmaids were expecting. Baby #1 for one of them, baby #3 for the other. I was, of course, super excited that perhaps we'd be pregnant together and that our Baby #2 would have some friends close in age--just like Brantley. 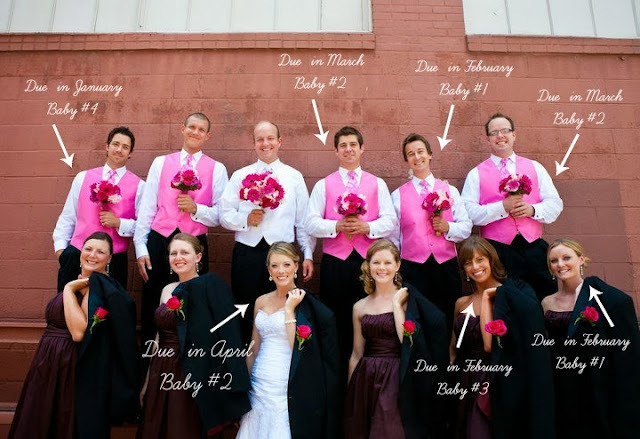 But then, imagine our surprise when we learned that not just two, but SIX members of our ten-person wedding party were pregnant (or had pregnant wives)!!! That's right, SIX of them--plus us! Two of my bridesmaids plus four of Craig's five groomsman's wives. (Did that just confuse you like it did me??) Due dates ranging from January 2014 through April. And then, not only that, but the friends we met in our childbirth class who had a baby eight days after Brantley are expecting, as well! In April. And we learned we were both pregnant the same day. Wow. Looks like I'm in good company! 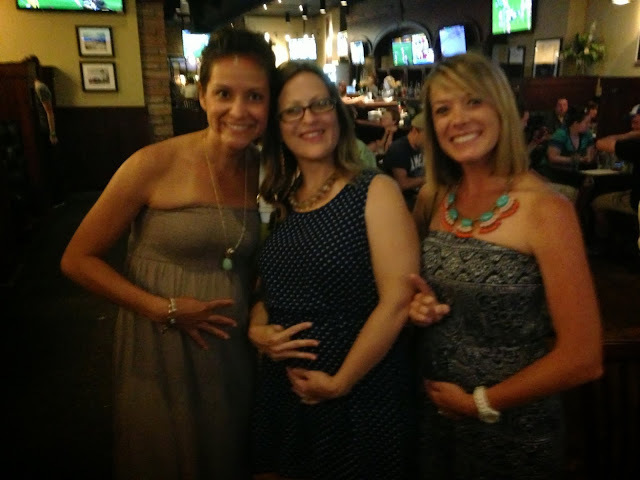 Here are a few pics celebrating with our prego friends! Me and high school BFF! Look at those cute bumps! 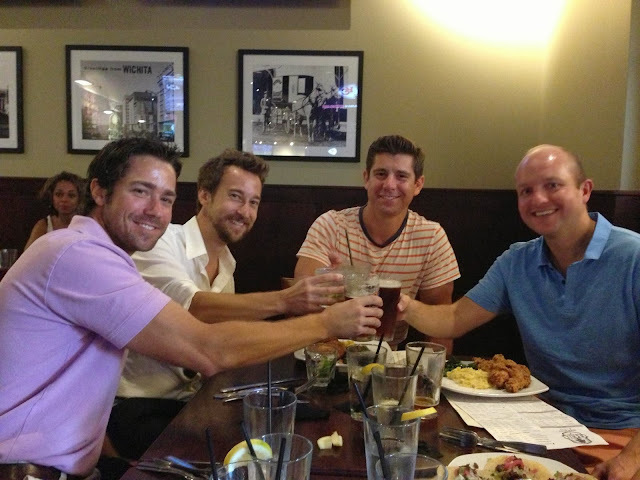 Here's to healthy pregnancies and babies for all of us!